Just because I'm most excited about the release of the arcade version of Capcom's Ghosts 'N Goblins on the Virtual Console doesn't mean you won't find plenty to love in this week's Nintendo Download. 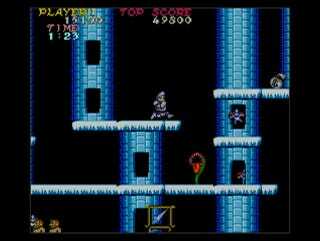 For instance, there's the arcade version of Ghosts' N Goblins, one of my favorite quarter munchers of all time. With Arthur appearing as a combatant in next month's Marvel Vs. Capcom 3, you owe it to yourself to see where it all began, don't you? Oh wait, that's the same thing I mentioned up top, isn't it? Oh! And there's always the arcade version of Ghosts 'N Goblins. Did I mention that yet?